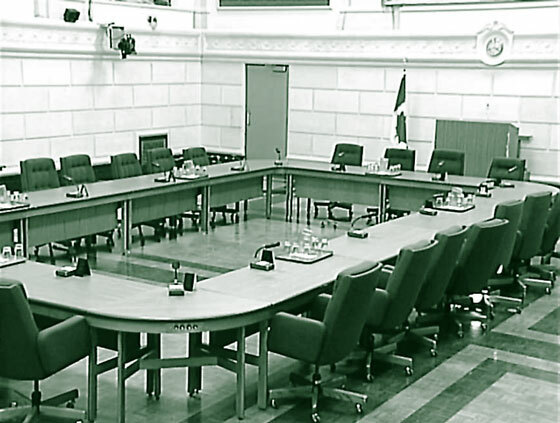 I have been called as a witness before the Standing Committee on Procedure and House Affairs at Parliament in Ottawa this coming Wednesday to speak to Bill C-23, known as the ‘Fair Elections Act’. The following are my prepared comments (I am allowed 5 minutes). Members of the Committee, thank you for this opportunity to appear before you to discuss changes to the Canada Elections Act proposed under Bill C-23. I present to you today on behalf of the London Homeless Coalition, and the London Community Advocates Network. However, my comments also draw heavily on my experience working front-line as a nurse with people experiencing homelessness at the London InterCommunity Health Centre, and on my current position as an Assistant Professor in the Arthur Labatt Family School of Nursing where my research and teaching focus on the intersections of poverty, housing, and health. As a nurse researcher I spend much of my time exploring health policies, but also concern myself with policies related to the broader social determinants of health. Policy analysis involves exploring both the intended and unintended consequences of current or proposed legislation. One of the questions asked of unintended consequences is whether the proposed legislation will adversely impact a particular segment of the population or people group. I am here today to express my concern that the changes proposed in Bill C-23 have the potential to significantly impair the ability to vote, a fundamental component of participating in democracy, for a distinct people group, those experiencing homelessness. There are two brief pictures I hope to paint for you to in some small way bring forward the realities of Canadian citizens who are experiencing homelessness: the maintaining and obtaining of identification while homeless, and a typical election day in and around agencies who serve the homeless in London, Ontario. Maintaining and obtaining identification is one of the key challenges faced by people experiencing homelessness in terms of barriers both to exiting homelessness and exiting poverty in general. Both qualitative and quantitative research studies have continually highlighted the rapid decline of possessing current and accurate identification starting from the date of first homelessness. The longer one is homeless, the exponentially less likely one is to have current and accurate identification. This particularly impacts those living with an active mental health challenge, as well as women fleeing domestic violence. How is identification lost? It, unfortunately, is frequently stolen along with one’s personal possessions, such as if someone’s back-pack or wallet is stolen. It is also often lost, due to the chaos of a homeless life. And it is also at times left behind, if a person is unable to return to a shelter where their belongings are stored for example, or if women fleeing violence are unable to access their possessions. Once identification is lost, the process to replace it is labourious, expensive, and long. Individuals often have to start right back at connecting with their community of birth to obtain a birth certificate, then wait four to eight weeks for this to come in before accessing the next piece of identification. This process is also a challenge as one requires a permanent address throughout. Fortunately, many agencies that serve people experiencing homelessness are used to and well-equipped to serve as a permanent address. Unfortunately, due again to the chaos in some people’s lives, the process of replacing lost identification is often interrupted, and many times pieces of ID sit unopened at agencies. Therefore, on any given day, a significant amount of people experiencing homelessness in Canada find themselves without identification. This is a challenge, but historically in London we have been able to rise to the challenge. Health and social service agencies in London mobilize every election day to ensure, as much as possible, that citizens who want to vote are able to in spite of their housing status and identification challenges. This community-wide mobilization focuses firstly on ensuring that individuals are using an agency such as London InterCommunity Health Centre on all their identification as a permanent address, and would thus obtain a Voter ID card. For those who have not received a Voter ID card by the election day, the next level of mobilization focuses on provisions under 143 (3) of the Canada Elections Act, known colloquially as the vouching system. As you are aware, under this section of the Act, those with proper identification are able to vouch for one other citizen within their polling area. So, workers across health and social agencies are be made aware of these provisions, and people self-identify who lived within the polling areas where most people experiencing homelessness are located in London. When a person experiencing homelessness but without identification enters an agency and expressed an interest in voting (facilitated by “Ask us how to vote!” signs), they are connected with someone who can vouch for them who accompanies them to the polling station. This is made simpler by places like the InterCommunity Health Centre serving as polling stations. So, this gives you a small picture of the hard-work and efforts of the citizens of London to ensure all people, rich or poor, have access to vote in the election if they so desired. Under Bill C-23, the provisions of 143 (3) are removed. This will present a very real challenge to people experiencing homelessness across Canada, and disenfranchise them from a significant part of the democratic process. Unfortunately, full identification replacement is simply not achievable, although you can be assured that the agencies try, due to cost and the timelines involved in replacement. This means that if Bill C-23 proceeds as written, a particular subset of the population will be adversely impacted. In any policy analysis, this is a significant red flag.